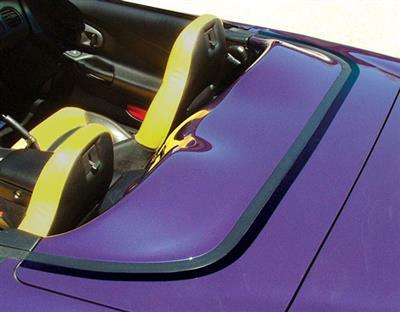 Before they happen, prevent your softtop or hardtop from leaving scratches and unsightly marks on your Corvette's rear deck. Deck Lid Protectors are static cling film (no adhesives needed! ), die-cut for your model year! They cover the area where your top comes in contact with your rear deck--keeping it in like new condition, for use when top is on the car. Also available in black. NOTE: Shown in black for photographic purpose.